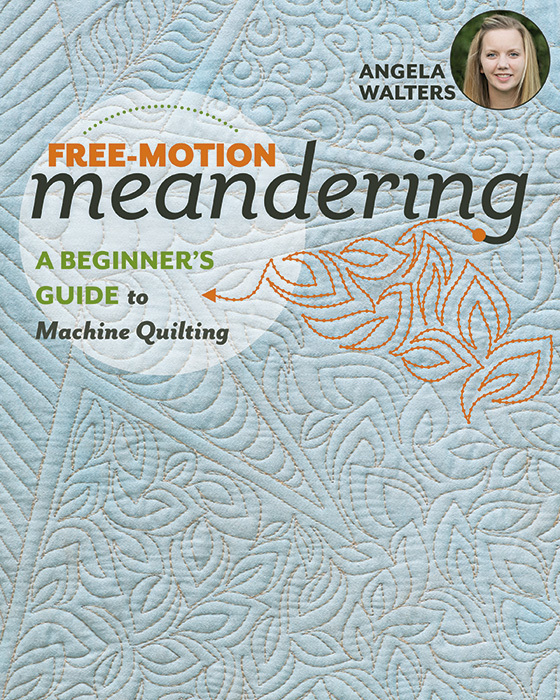 I was the fortunate technical editor who worked on Angela Walter’s latest new book Free-Motion Meandering—A Beginner's Guide to Machine Quilting. The important word to note here is fortunate. Yes, just reading through this book and going over the designs and illustrations improved my own quilting in giant leaps! There’s something about Angela’s completely open and sensible approach to quilting that gives you the space and permission to jump in and try. Her words have been permanently etched in my consciousness. She has a way of saying things that pushed me through my hesitancy and fear and freed me up to go for it! 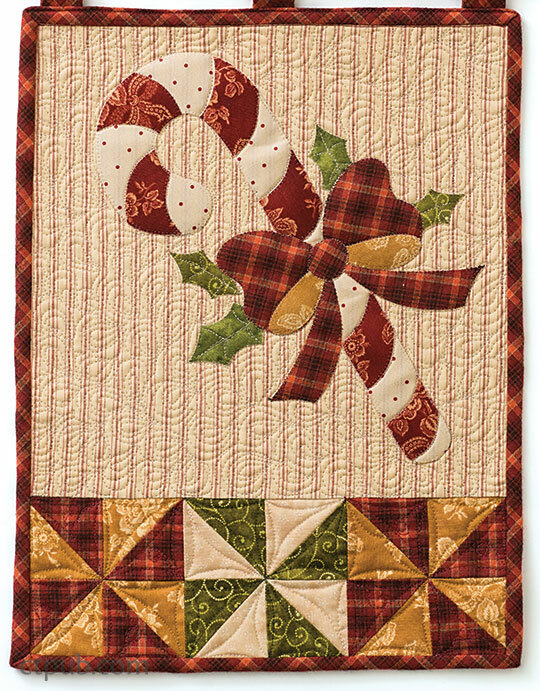 I wanted to try quilting paisleys around a Christmas candy cane on a small 12˝ x 18˝ quilt. Immediately, my fear of getting stuck in tight places took me to that tentative place. But then I remembered one of Angela’s mantras: “Echoing is your friend.” I used this thought to overcome my doubts. I repeated this idea over and over in my head. Voilà! The echoing got me out of tight corners and narrow passages and added more layers and interest to the paisley shapes. I was over the moon! The confidence I gained by tuning in to “the Walters wavelength” was working. 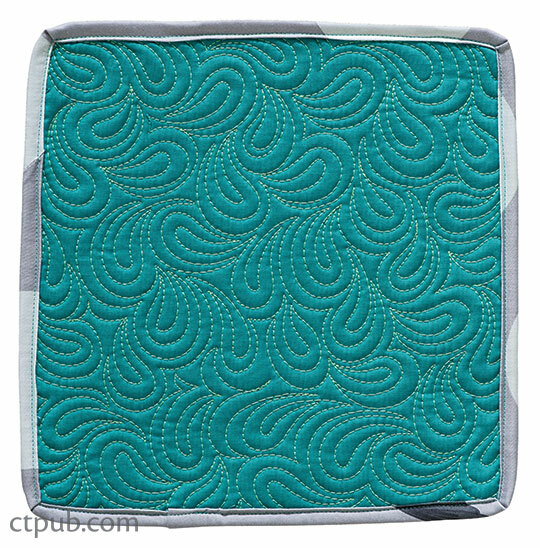 Believe me when I tell you that this book is not only a guide to learning new designs, it also instills in you the confidence to move beyond where you stand now with your quilting. Angela is so helpful to people who are learning to quilt because she knows exactly what it took for her to achieve her level of competence. She knows the barriers, the indecisiveness, the second-guessing, the places you get stuck, and the mind games your thoughts play with you. She knows because she’s been there and remembers just what it was like. Buying a book by Angela is like having your own personal tutor right there by your side. She’s relatable, and she understands just what you are going through to master the skill. At some point, a simple turn of phrase that she uses will resonate deeply and will boost you to break through one of your own quilting barriers. If you are like me, and you want to reach that place where quilting is easy, fun, and gives you a result to be proud of, pick up a copy of Angela’s book. It’s so much more than just learning to meander. You’ll find a fabulous mentor in these pages and perhaps the keys to overcoming your quilting demons. I know I did!